Ramírez is a artist born in 1954 in the Republic of Costa Rica. 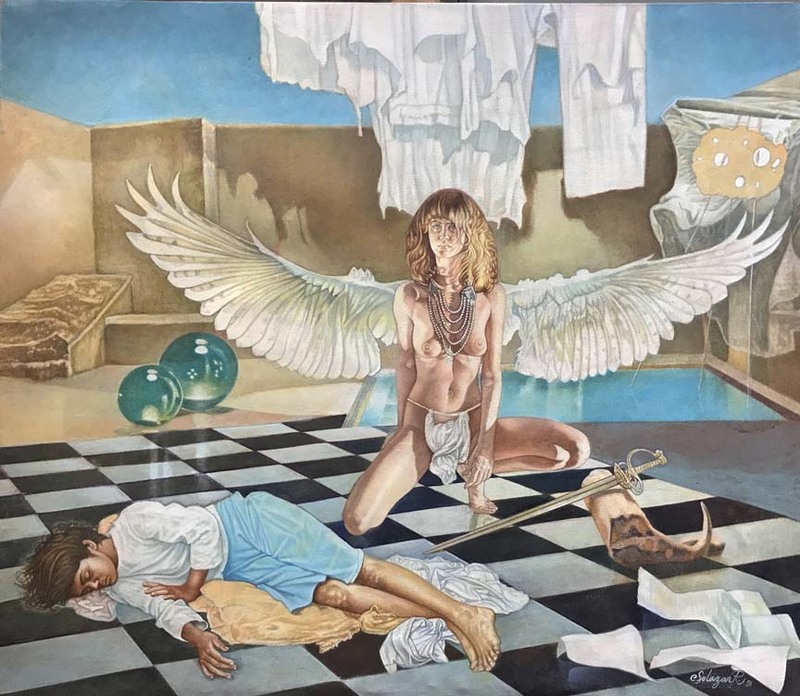 In 1972 he began his formal studies at the academy "Casa del Artista" where he was technically trained under the direction of the artist Esteban Nylas and the painter Ricardo Morales. He quickly became independent and e created expositions and varius murals by order for institutions and private companies in Costa Rica. He traveled to continue studies in Florence, Italy, with a scholarship granted by Italy. From 1975 to 1982 he remained in Europe. He left the academy shortly afterwards and opted for the experience of traveling. He educated himself by visiting museums and making his living by painting portraits and small works by order, learning languages and customs, observing and learning about Old Europe. The odyssey of seven years later gave sustenance and abundant material to his philosophical and artistic understanding. He has participated in Collective and Biennial Salons, fairs and cultural and popular events. His works are in private collections inside and outside Costa Rica.